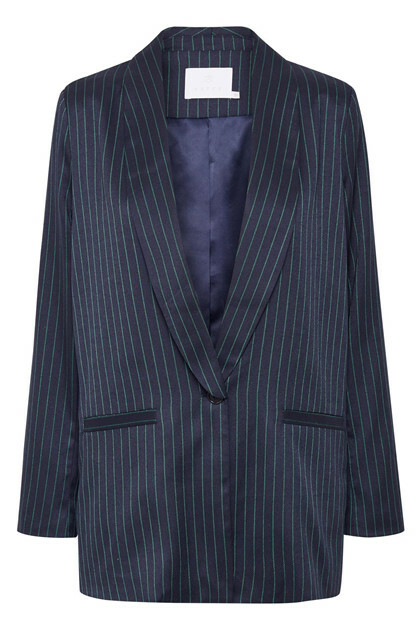 Long blazer with button at the front. 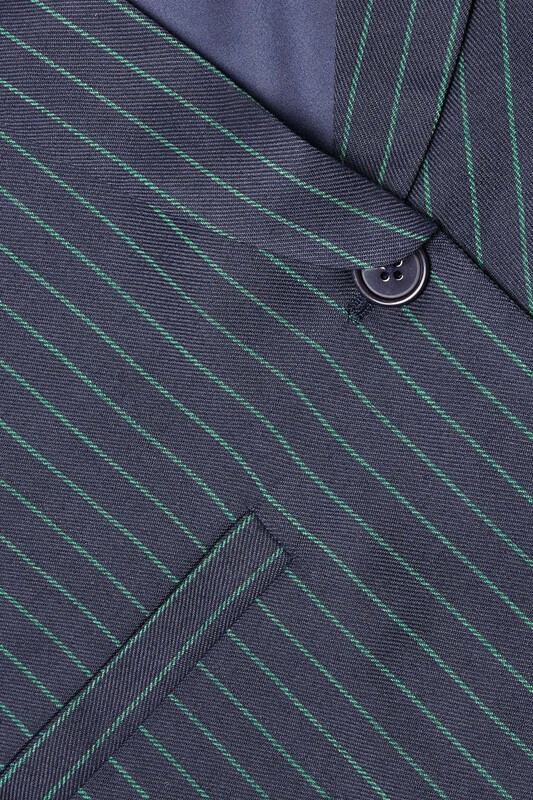 The blazer has pocket at the front. It has a nice striped pattern.